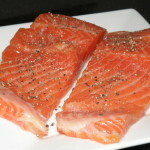 Moving to the Pacific Northwest almost 5 years ago I discovered how wonderful the different types of fresh fish are to cook with. 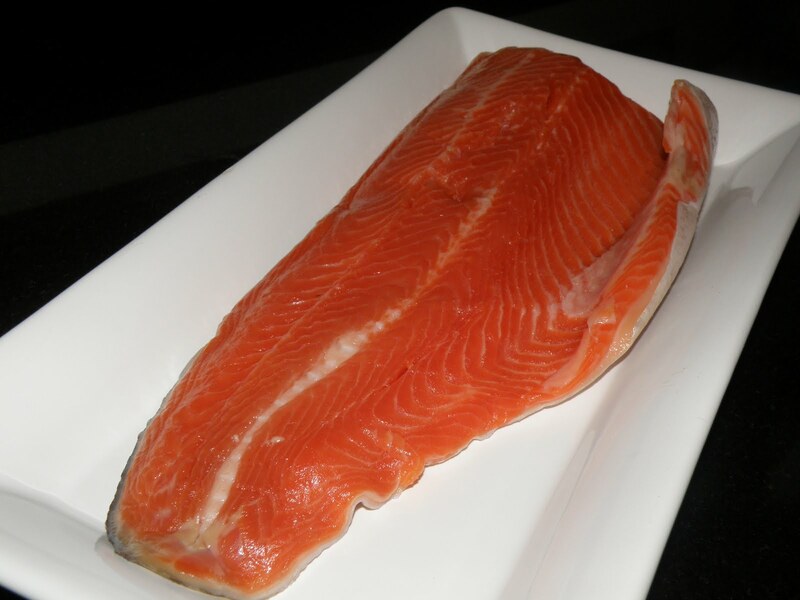 There are many different types of fish runs throughout the year with Salmon and Steelhead (Trout). I decided this year that I wanted to make a meal the night before Easter that represented some of the fresh things that Oregon has right now so I got a beautiful piece of Steelhead, fresh leeks and asparagus and created a Pacific Northwest meal for my husband. 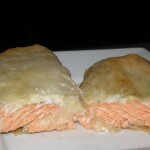 To make something special I decided to bake the steelhead in phyllo dough and instead of using a dill sauce I bought some herb cream cheese to gave it a different flavor. It looks hard but from start to finish with making and baking I had a meal in 30 minutes. 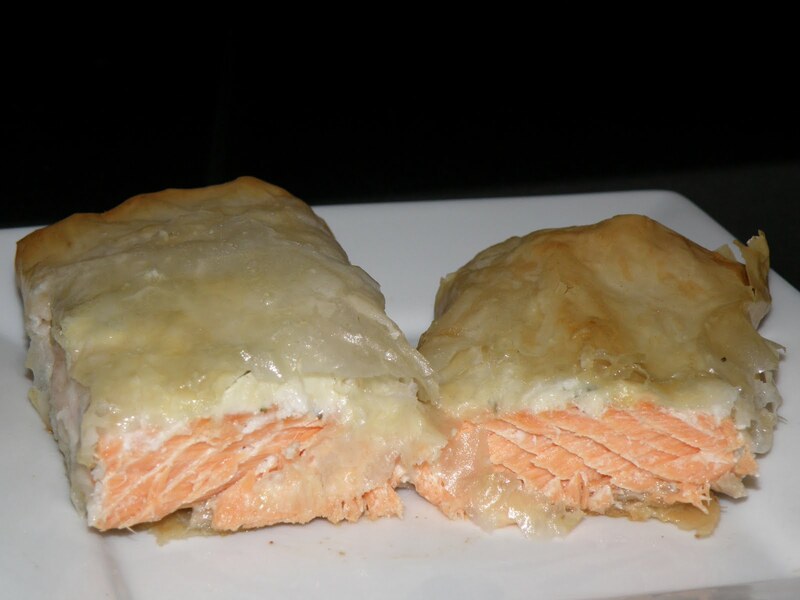 The phyllo dough kept the Steelhead so moist and cooked it prefect. 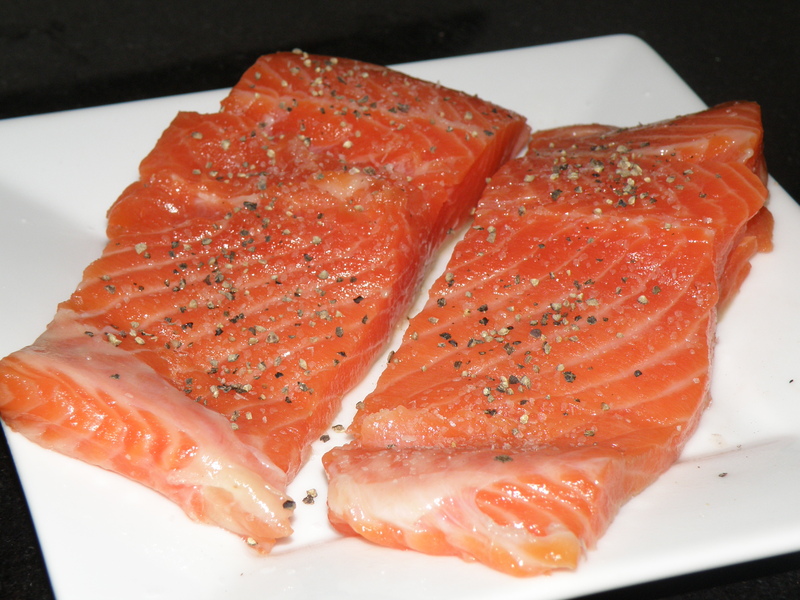 Cut Steelhead or Salmon into 3″ x 6″ strips and season with salt and coarse pepper. 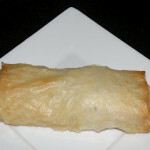 Take two pieces of phyllo dough and lay on top of each other. 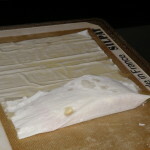 Brush the whole top with melted butter. 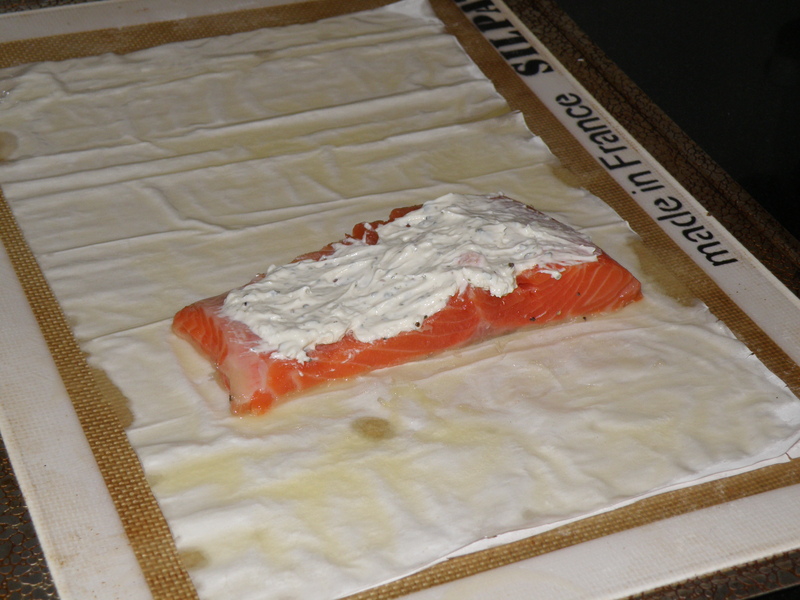 Place Steelhead on dough about 1/4 of the way up and spread about 2 tbsp of herb cream cheese over the top. 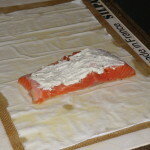 Fold dough over steelhead and tuck in sides and roll up to make a little pouch. Brush all sides with melted butter. 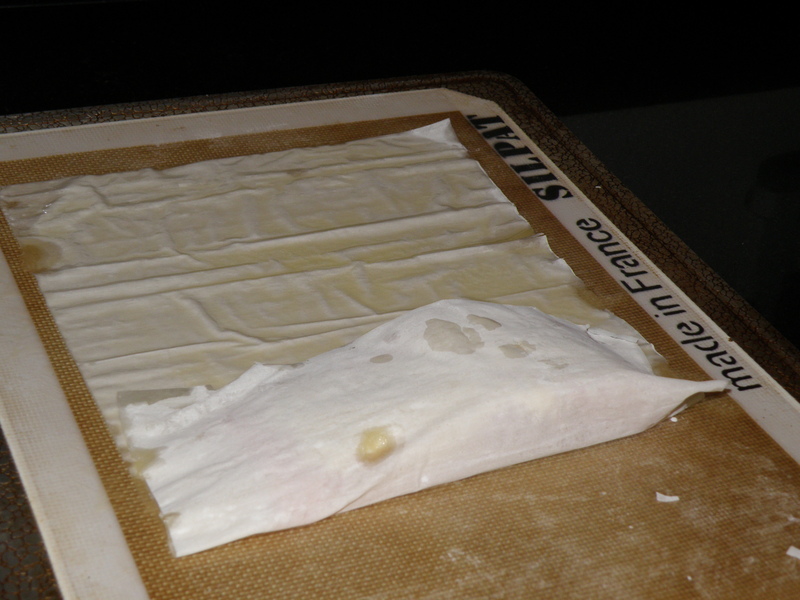 This is important because the phyllo dough dries out really fast so keep covered when making the pouches. Repeat with the remaining steelhead you want to make. 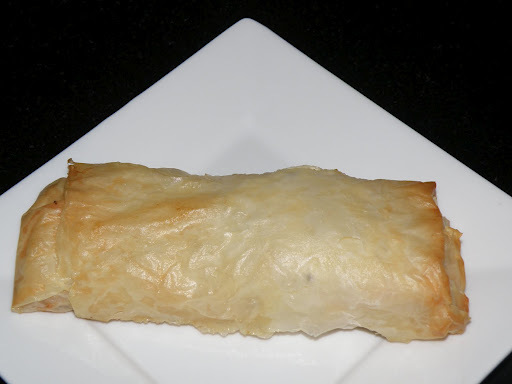 Place on baking sheet and bake in a 375 degree oven for 20-25 minutes or until a golden brown. Wash and trim the root end and green top off the leeks and cut them into quarters. 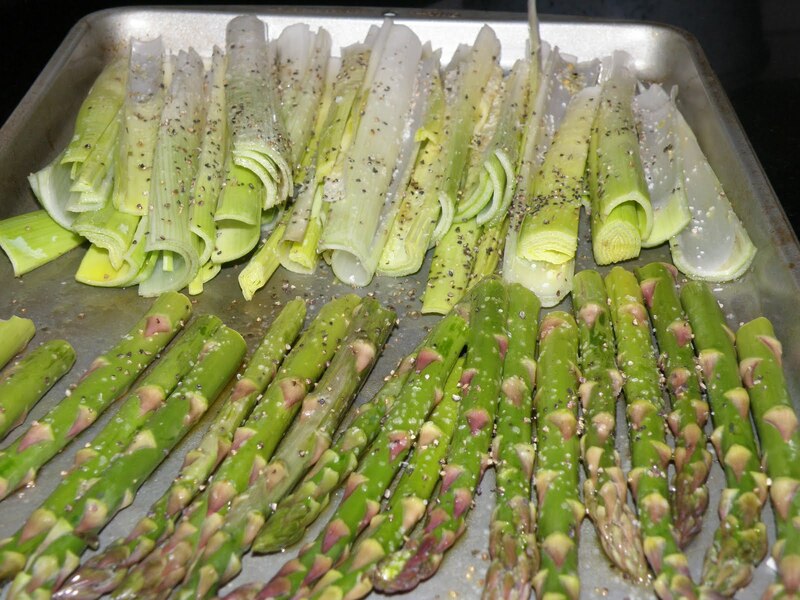 Wash and break off the ends of the asparagus. Toss both with olive oil and season with coarse salt and pepper. Roast in a 375 degree oven for 20 minutes.